Most of us are familiar with jasmine teas, but what other culinary uses are there to jasmine? Because jasmine absolute is so costly and hard to come by for most, and also difficult to work with at the right concentration for food preparation, it is not easy to find recipes that are jasmine-flavoured. The few that are, typically call for infusion of jasmine tea to achieve the desired aroma. As far as gourmet cuisine goes, jasmine as a flavour can be mostly found in desserts. Renown pastry chef Pierre Hermé created remarkable macarons that are flavoured with jasmine, and inspired macaron-makers the world over to follow suit. Mango-jasmine macarons are one of my favourites. Jasmine's complex yet light floralcy blends magically with the juicy muskiness of mango. I recommend you try this pairing with simpler mango recipes you may have, i.e. in homemade mango gelato or ice cream. Jasmine pairs beautifully with fruit, as it has its own fruity facet due to the presence of some esters and fruity aldehydes. The few jasminey recipes in my cookbook collection include a tropical fruit salad with jasmine tea and chile syrup - a beautiful, simple to make yet innovative flavour combination from Tonia George inspiring little book "Tea Cookbook - sweet and savoury recipes for tea lovers". In his book Aroma, Daniel Patterson (the renown chef of Coi, one of the world's top-notch restaurant), offers a recipe for a jasmine syrup that can be used creatively, either as an addition to fruit salads, or as a base for a fruit sorbetto (he's providing a recipe for White Peach and Jasmine Sorbet in p. 111), using a syrup from boiling together 1 cup sugar, 3 cups of water, and 2 Tbs of jasmine pearls. He's recommending 10min of steeping, but I would be cautious with this timing, as long steeping create a very bitter taste, and not necessarily in a good way. To maximize the flavour of any tea, use the same steeping time you would use for that type of tea; only increase the amount of tea used (that's when you really do not want to be cheap! ), and make absolutely sure the tea is very fresh and vibrant with flavour (no older than a year, that's for sure, and for some teas 6 months is all you need to lose their remarkable aroma). For jasmine tea, I'd say no more than 3-4 minutes steeping time; but use larger amount than this recipe: you normally want about a pearl or two per teacup (which is 5oz), or if you're using green jasmine tea that is not rolled into pearls - you want to use a teaspoon for each cup; so for a stronger flavour, double that at least. That would come up to 5 teacups for the amount of water Daniel Patterson specified in his recipe (750 mL). For that I would use at least 10tsp of jasmine tea, in other words: 3 Tbs and 1 tsp. Another step in the syrup technique that I would do differently: I would steep the tea leaves in 2 of the cups (brought to the tea's optimal brewing temperature, for jasmine green tea that would be 175 F), and would create a simple syrup from the remaining one cup of water and the entire cup of sugar. Only once both are ready and cooled off a little, I would blend the strong tea infusion with the simple syrup. Jasmine has a strong affinity with desserts, and the only savoury pairing that I've seen where to chicken or chicken broth, and while served with dim-sum or Vietnamese pho noodle soup (which is what inspired my verdant Jasmine Pho - a limited edition perfume that is gladly back in stock as of yesterday!). In the same book, Chef Daniel Patterson also offers one savoury recipe, for Jasmine-Steamed Chicken Breast (p. 112). I cannot comment on this recipe because I neither cook nor consume poultry; but I would gladly experiment with jasmine tea within a refreshing, cool version of a noodle salad, or in a creative vegetarian version of the wonderful pho noodle soup. The jasmine tea works well as an accompaniment, so I can't see why it won't work in a simple cilantro broth, being topped with fragrant Thai basil, jalapeño and lime. Jasmine tea is recommended for pairing with coconut desserts, and in general all mildly sweetened Asian desserts go fantastically well with it, which is possibly why you'll be served a pot of jasmine tea as soon as you sit down for dim-sum. It is also served to accompany the pho - the deliciously light and fragrant Vietnamese noodle soup, where the jasmine's aroma beautifully complements the fresh cilantro and basil leaves. 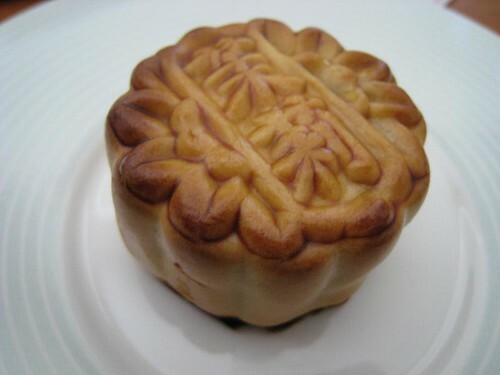 Jasmine Tea Mooncakes (pictured above) are a traditional food of the Mid-Autumn Festival celebrated in mainland China, Taiwan, Vietnam and among Chinese communities the world over. It's a pastry that is filled a paste or a cream made of taro root or lotus-seed or a variety of other modern interpretations, to which other flavours (such as tea, fruits, nuts, and more recently also coffee and chocolate) can be added. I've used jasmine absolutes countless of times in my infamous chocolate truffles: Charisma truffles (white chocolate with matcha, jasmine sambac and spearmint), Espionage (both the truffles and the chocolate bar), where it lends a complex, musky depth and helps to smooth out the smoked salt and peppery juniper notes, and countless other experiments. But using absolutes requires: a) access to high-quality, unadulterated jasmine absolute; b) expert hand at blending and knowing the challenges of using such a mind-bogglingly concentrated material: a single drop of jasmine sambac absolute carries the potency of 66 flowers! 1) Loose-leaf jasmine tea can be easily incorporated into shortbreads and even biscotti, as you've known if you were to attend any of my fragrant afternoon tea parties. 2) Infuse chocolate ganache, pastry creams, custards, gelato/ice cream, sorbetto or créme brûlée with jasmine tea leaves to add a special nuance. 3) Use a simple jasmine syrup as a substitute for the rosewater or orange flower water used to sweeten Middle Eastern pastries (such as harissa, basboosa or baklava). Substitute a strong jasmine tea for the floral water, and only at the very end of the cooking process, once the syrup has cooled down! 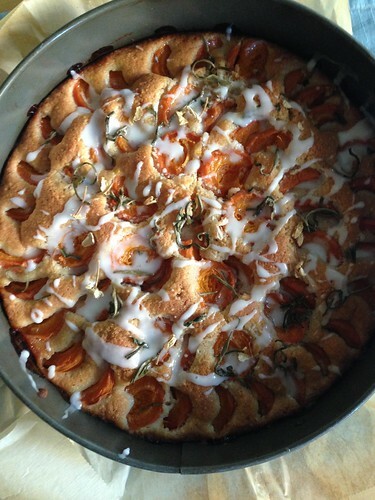 4) Find other creative ways to include jasmine flavour in your desserts, for example: chopped up infused leaves inside cakes (as in the Apricot Jasmine Tea Cake recipe I shared with you over the weekend). Last but not least: Jasmine tea is a wonderful addition to a mixologist's repertoire, as its light colour and crisp aroma works well with many chilled cocktails: it's beautiful with spearmint, so it goes without saying it will be fantastic in a mojito with muddled spearmint and freshly squeezed lime. It will also work beautiful with gin, i.e. in a Jasmine Gin Fizz; other floral liquors such as St. Germain (an elderflower liquor) in Jasmine & Elderflower Martini, with absinthe in Jasmine Tail, with tequila and lime in Jasmine Tea Margerita, or just as a standalone, chilled iced tea with or without a shot of vodka.